A young rodeo cowboy returns home for his best friend’s funeral. After arriving, he is forced to recon with his past and his current uncomfortable circumstance in life. The TV Guide for Westerns are at www.mywesternchannel.com or https://swig.tv/LiveTV/LiveChannel/ – Check it out! 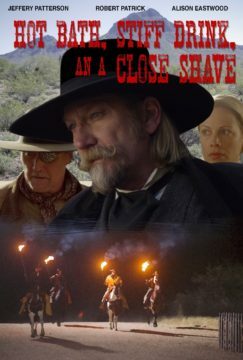 “Cowboy Funeral,” starring Len Anderson, Kerry Wallum, and Quinlann Taylor, is picked up by the mywesternchannel.com.